About E-TOWN KITCHENS & BATHS, INC., providing professional cabinetry services in Elizabethtown, KY.
About E-TOWN KITCHENS & BATHS, INC. The quality of our workmanship is unquestionable and will give your kitchens and baths the classy flair it needs. 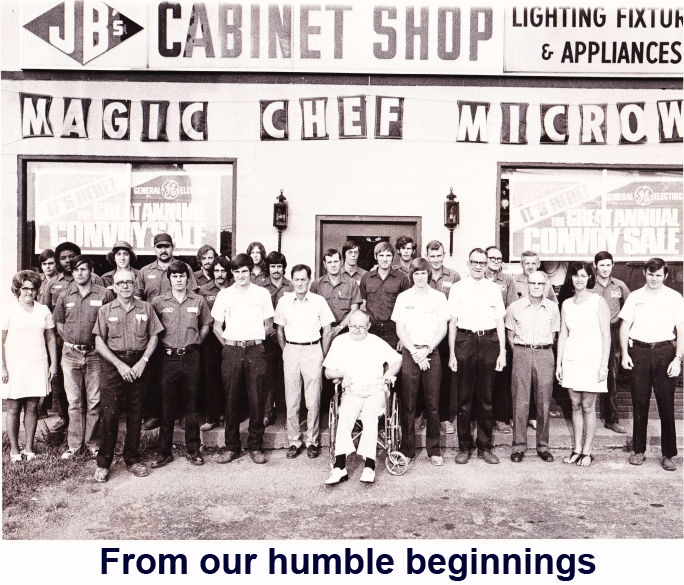 You will only expect the finest materials and the incomparable experience brought about by 50 years of cabinetry knowledge. E-TOWN KITCHENS & BATHS, INC.’s in Elizabethtown, KY creates designs that will impress your family and friends when they visit your home. Having an impressive cabinet and countertop for your kitchen and bath is not only made for aesthetic purposes. Our expert designers are known to design cabinets and countertops that will last for years. Therefore, you are not only getting visual dynamics from our cabinetry services, but you will be able to experience the quality of our creations for a long time. Whether you are looking for a business that can design new cabinets and countertops for your new home or you are upgrading your furnishings, E-TOWN KITCHENS & BATHS, INC. is the name to trust in Elizabethtown, KY. Contact us to purchase a set of cabinets and countertops that will fit the theme of your home. We assure you that our workmanship is one of the best in town.